The growing number of companies looking to enhance their sustainable initiatives are finding ways to cut down on fuel consumption, greenhouse gas emissions, and energy spending. The first place many companies go is the supply chain, specifically transportation. 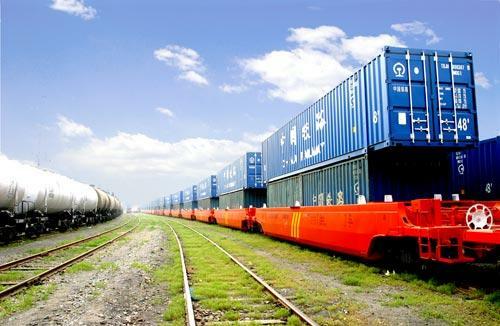 Rail shipping is a sustainable resource that may be overlooked by many people just because they have never realized the green benefits that rail shipping can provide. A single freight train can replace hundreds of trucks on the road, freeing up space for motorists and reducing the use of fossil fuels and greenhouse gas emissions. With the efficiency that freight trains already possess, along with upcoming advances in technology make shipping via rail a no-brainer for clients looking to increase their sustainable initiatives within their company. If you are looking for a a great local company in Omaha to handle all your Rail Shipping then look no further. Nebraska Warehouse offers the best service to all your transportation and warehousing needs. Give us a call Today!